Friday, Jan. 25, eighth-grade students from RBHS’ feeder schools, Jefferson Middle School (JMS) and Gentry Middle School (GMS), toured their new high school building. 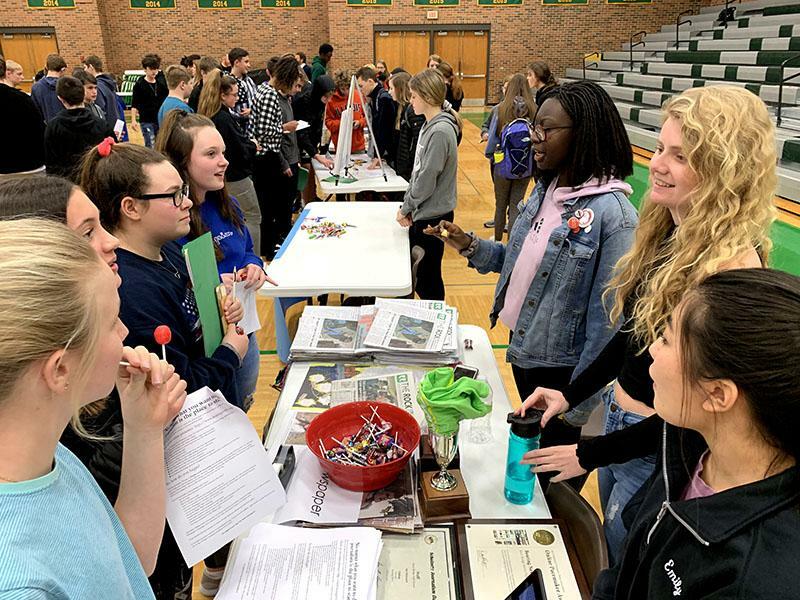 The final stop was the Club Fair, held in the main gym. Here, students learned about offered classes and extracurriculars. The transition into a larger school brings multiple opportunities, with class selections, Authorized Unassigned Time (AUT) and more lunch privileges. GMS social studies teacher Justin Carter said his favorite part about RBHS is the ability for every student to find something to do. 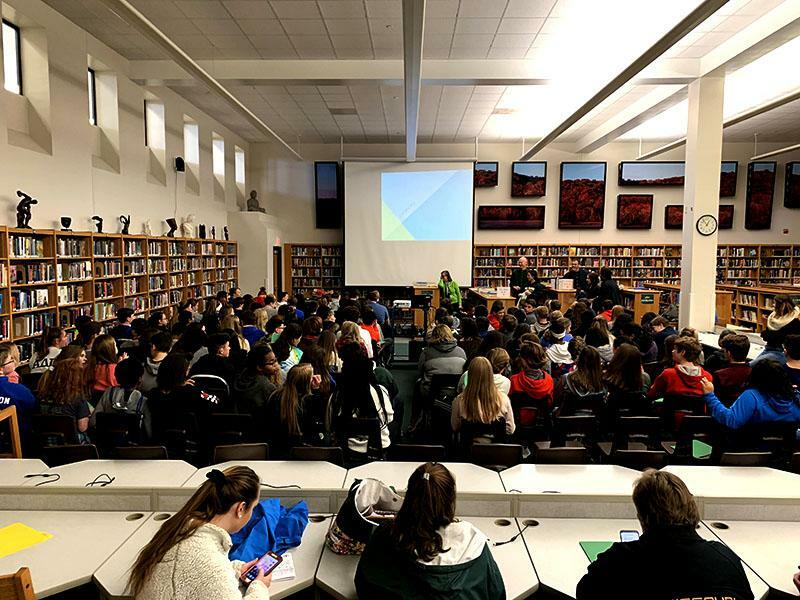 With many clubs and different teacher sponsors, students are often the best spokespeople for the firsthand experiences of RBHS’ opportunities. 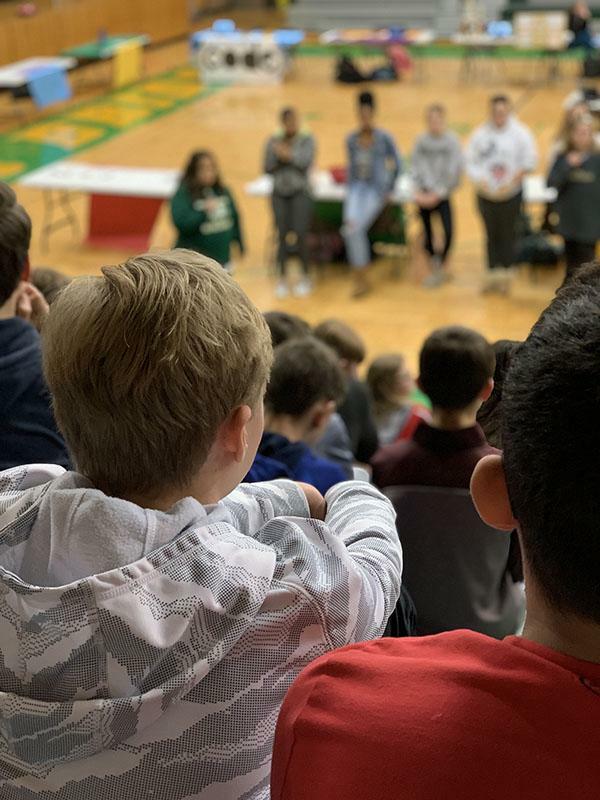 From classes such as photography to biological medicine, the eighth graders will have a wide variety of choices to make when selecting future classes. 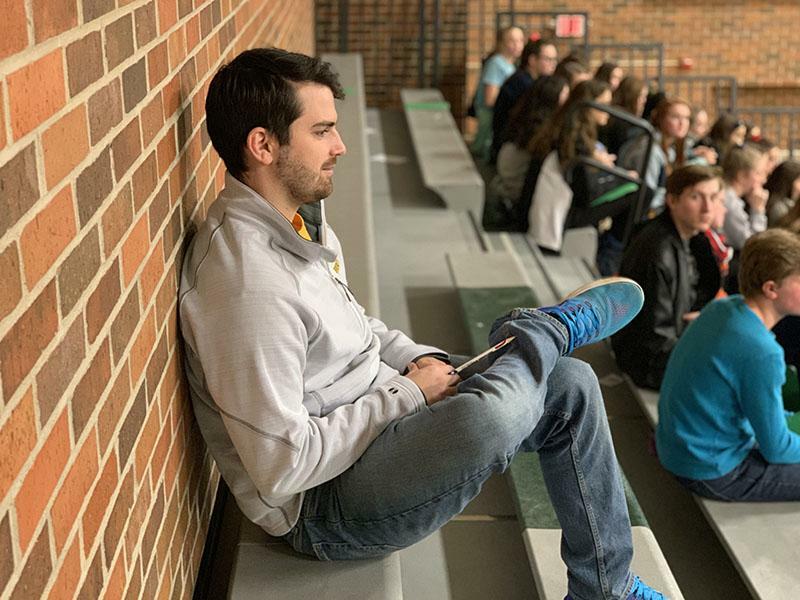 Sophomore Grayson Barnes had a booth available for the various businesses classes and believes eighth-grade visits are a unique opportunity for students to gain a better focus on what they want to pursue in their academic career. To Carter, he believes many students get “wide-eyed” with their transition to the new school. Carter said the maturity between a freshman and an eighth grader is drastically different. I thought it was a neat experience when our class came here. Pretty cool that we can do something like this! The Club Fair that occurred this year sounds really cool. My 8th-grade class never got to experience a club fair which is regretful. I could have learned more about the clubs at RB if this was offered earlier! The Club Fair that occurred this year sounds really cool. My 8th-grade class never got to experience a club fair which is regretful. I could have learned more about the clubs at Rock Bridge if it were offered earlier! I remember when I did this (last year), and the club fair actually really helped with choosing classes and clubs for next year! i think this is a great opportunity for eighth graders to figure out RBHS a little bit. i enjoyed it a lot when i was able to participate in this when i was working on my way to RBHS. i like the feel of this piece a lot good job!! !